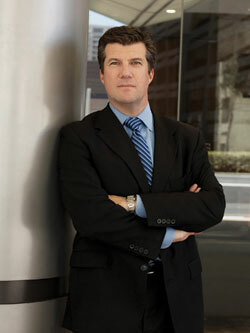 Lee Jay Berman began as a full-time mediator in 1994, successfully mediating over 2,100 cases in his 22 years. He is on the national panels of the American Arbitration Association (AAA), a Distinguished Fellow with the International Academy Mediators, and a Charter Diplomat and Advisory Board member with the National Academy of Distinguished Neutrals. He was one of the first five American mediators certified by the International Mediation Institute, and he is a Dispute Resolution Expert with the United Nations Development Programme. He was Mediator of the Year for the US Bankruptcy Court in California in 2007, was named a “Top Neutral” by California’s Daily Journal in 2008 and 2009, Mediator of the Year – California by Acquisition International Magazine’s M&A Awards 2012-2016, and the Who’s Who of International Commercial Mediation in 2012-2015. In addition to mediating litigated cases, he has worked with several rock bands and entertainment partnerships to keep them together, or help them to separate amicably. Music Connection Magazine called him the “Band Whisperer”. Also a prominent trainer in the field, Mr. Berman founded the American Institute of Mediation in 2008, leaving his position after seven years as Director of the “Mediating the Litigated Case” program for the Straus Institute for Dispute Resolution at the Pepperdine University School of Law in Malibu. He has conducted trainings for mediators, judges and business leaders in India, Australia, The Kingdom of Jordan, post-war Croatia, England, Spain, The Netherlands, and the United Arab Emirates, as well as for the AAA, and multiple bar associations, courts, mediation organizations, insurance companies and other corporations. He was on the Advisory Board of the Harvard Negotiation Insight Initiative. In addition to Pepperdine University, he has taught or trained at the University of Texas, Southern Methodist University, Southwestern Law School, Loyola Marymount, Cal-State Northridge, Lipscomb University, Faulkner University, and Bond University in Brisbane, Australia. The inaugural ADR Director for the Santa Barbara Superior Court, he launched that county’s multi-door courthouse approach to cases from 1999-2000. From 2003-2007, he was national chair of the American Bar Association’s Dispute Resolution Training Committee, and in addition to serving for eight years on the California Dispute Resolution Council’s board of directors and executive committee, he chaired their statewide Qualifications & Standards Committee for seven years, which published CDRC’s Standards of Practice for California Mediators, and he is in his third year on the California State Bar’s Standing Committee on ADR as well being a mediator member of Mediators Beyond Borders. He hosted the popular radio talk show Talk It Over from 2007-2009, and the American Bar Association will publish two of his books in 2016. Mr. Berman enjoys a thriving commercial mediation practice and providing public and private sector training in negotiation, mediation and conflict management. He lives in Marina del Rey, California and enjoys the travel that his work gives him.